Over Saturday 6th and Sunday 7th March members of the BCKA England Squad competed in the Irish Open, the world's largest martial arts tournament. 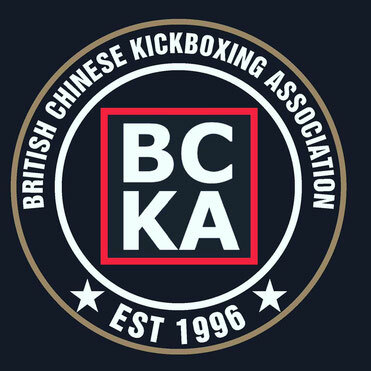 This proved once again to be a fantastic experience for the BCKA fighters with the squad winning 2 golds, 1 silver and 4 bronzes, with 3 fighters also making the quarter finals. Early on Friday 5th March the BCKA England Squad and spectators set off in good spirits for 2010’s Irish Open tournament at the City West Hotel in Dublin. The Irish Open is renowned for being one of the largest and most prestigious tournaments in Europe and the world. Over 2000 fighters compete in this tournament every year with some of these being very experienced and professional fighters. The team from the BCKA had been training hard for months for this competition and felt excited by the prospect of the weekend ahead. The journey to Ireland itself was free of any delays or mishaps with some rest and relaxation on the ferry ahead of the two long days of fighting to come. Upon arriving at the Bewleys Hotel, where the BCKA were staying, it didn’t take long to check in and get up to the rooms ready for another early start the next day. On Saturday morning the team were up early again and after a filling breakfast, for those who weren’t watching their weight for the weigh in, made their way to the magnificent City West venue. Kitted out in their smart red and blue BCKA England suits, the team stepped off of the bus and hovered around outside the venue peeking through the windows waiting to be allowed to go through for the weigh in. Eventually the twenty seven fighters and their supporters entered the arena for the first time and were met with the awe inspiring vision of this year’s Irish Open venue. Comprising of 15 mats and a full contact ring with lots of space to warm up, seating on the upper levels, every need was taken care of. The team made their way straight up the escalators for registration and weigh in. Once every fighter had successfully weighed in and registered, they were summoned by Alex out onto the balcony for team photos. Then those who were fighting that day went to check which mat they would be on, when they could expect to fight and start to warm up. Nine fighters were in action on Saturday with light continuous categories and the men’s semi contact black belt sections scheduled to take place. The fighters who were not fighting made their way to the seating areas where the view of the arena was nothing short of spectacular, everything could be seen which made a change for the Irish Open! Saturday’s action saw Kevin Williams and Danilo Trozzi in the semi contact points, both going out in the first round with Danilo losing to an Italian again much to his amusement. Dean Cruickshank and Rob Marr both turned out in the novice light continuous with both unable to progress past the first round. Sarah Simpson and Jo Redman fought in the women’s advanced light continuous. Sarah faced tough competition being drawn against the eventual winner and Jo Redman fought hard to come away with a bronze medal. Ryan Connor, Lee Mullineaux and Michael Dempsey were in action in advanced men’s light continuous. Lee Mullineaux made the second round but could progress no further, Ryan Connor put in a good performance and came away with a bronze medal. Michael Dempsey upon his return to international competition got through to the quarter finals but had to withdraw after breaking two of his ribs. Saturday was not a bad day for the BCKA with two bronze medals and a quarter finalist to start things off. The following day the BCKA England Squad returned to the City West Hotel for day two of the Irish Open. Sunday saw 22 BCKA fighters involved with Danilo Trozzi on the spur of the moment deciding to enter the Grand Championship Open Weight contest featuring professional fighters such as Raymond Daniels and Jack Felton. All fighters today were competing in semi contact points divisions. The youngest fighter in the BCKA England Team this year was Daniel Balch. He entered both boy’s beginners and intermediate categories and got a bronze medal in the beginners. The younger fighters in the BCKA on the whole performed very well. For the girls there were Nicola Gemmill and Sophie Collinson both competing in the girl’s intermediate and advanced sections. Both went out in the first round in the strong advanced section but in the intermediate Sophie made the second round and Nicola added a silver place to her trophy collection. Reece Dalton and Max Halligan were both new to the England Squad and Irish Open. Reece put himself down for both beginners and intermediates and fought hard to reach the second round in the beginners. Max fought in just the one category but incredibly beat each opponent with ease securing himself his first international gold. Alex Barrowman Jnr, Courtney Brown and Ryan Winham, all accomplished fighters, were all on form in their respective categories with only contentious refereeing decisions, especially in Alex’s case, preventing them from progressing. Also making their Irish Open debut this year were Lil Merricks, Cat Harris and Vicki Elsigood. Lil and Vicki were in the same category and both put in a great amount of effort unfortunately coming up against more experienced fighters but doing themselves proud. Cat Harris in her section made good use of her front kick against several opponents to take the gold. Experienced women fighters Katie Grant and Sarah Simpson were also in action. Katie fighting in the advanced (black belt) category was drawn against a fighter who came third in last year’s grand championship and put in a great performance but did not advance. Sarah entered the strong intermediate division and fought through all the way to the semi finals with only contentious refereeing keeping her out of the final. But another well deserved bronze medal. Lee Burns, Lee Murray and Ross Clark all made their first appearances at the Irish Open with Lee Burns and Ross narrowly missing out on a place in the second round. Lee Murray on the other hand had many fights getting all the way to the quarter finals and then in the last second of the match losing by one point. Grant Brown, Richard Faller, Richie Wooton, Rob Marr and Ryan Connor all fought in the men’s intermediate categories. Grant, Richard, Rob and Richie were all unlucky not to progress to the next round, again thanks to some contentious refereeing in some cases. Ryan on the other hand made the quarter finals of his section. The last fighter of the day, Danilo Trozzi, became the first BCKA fighter to enter the Grand Championship Open Weight contest. He got as far as the third round, coming up against Ross Levine, a professional fighter who eventually came third after losing to Raymond Daniels. After all the fighting had finished, the BCKA Squad headed back to the Bewleys for some food and the customary Sunday night fun. Everybody was in good spirits after a good weekend of fighting, despite some of the decisions given. The Irish Open had once again been a wonderful event for the BCKA, with the team winning 2 golds, 1 silver and 4 bronzes, with 3 fighters also making the quarter finals. The support for each other and from the spectators travelling with the squad was again unrivalled by any other team. The team spirit and bond was fantastic with Danilo commenting it was the best he had ever experienced with the BCKA. An important part of the success of the squad was also due to the first class coaching provided by BCKA coaches Alex Barrowman, Dave Littlemore, Mick Dempsey, Nick Marchant, Kevin Williams and Michael Dempsey. The BCKA England Squad began the long journey home early Monday morning, weary from the fighting and the previous night’s events but ready to do it all again next year.